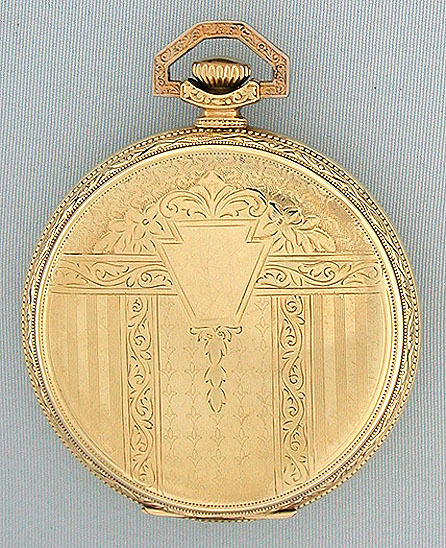 Dudley Type 2 Masonic gold filled flip back antique pocket watch circa 1929. The bridges of the 19 jewel movement #2796 in the shapes of Masonic symbols with applied silver bible. 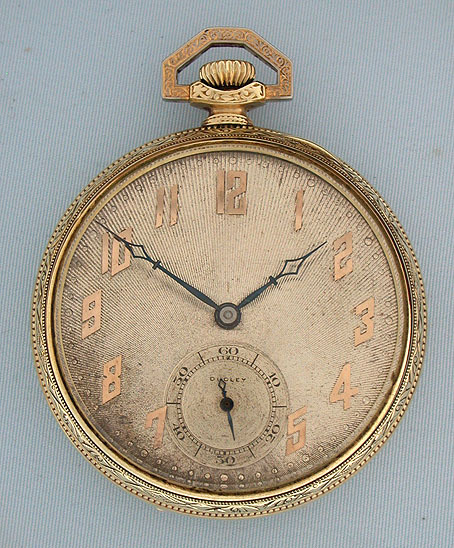 Original sunray dial (light signs of age) with applied gold numbers, and blued steel hands. 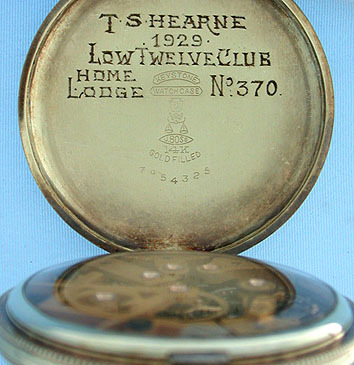 Spring hinged flip back case (light pocket wear) over glazed movement with Masonic presentation on the inside of the back. 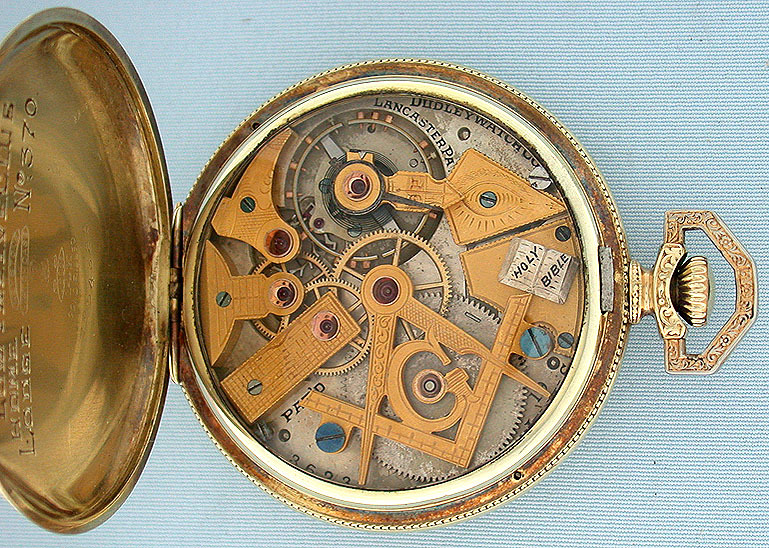 Excellent example of a most interesting watch.